Offering more options, in more sports, at the best prices! Fishing, Hunting, Cross-country Skiing, Snowshoeing, Snowmobiling. Nature Photography, Moose Safaris, Whale watching, and Applachian Trail support. The Allagash, The St. John, The Machias, The St. Croix, The Penobscot, and 22 other rivers. Also offering Shuttle services and complete Outfitting. Equipment rentals available. Operating from the Atlantic Coast to Moosehead Lake to the Western Mountains. Wilderness River Canoe Trips a speciality! "You are there", live! Cool, Hey? And now, check to see if and/or when you can view the International Space Station passing overhead at your location. Just fill in the data asked for in the box below. Good sightings are when the ISS is 40 degrees or higher above the horizon. 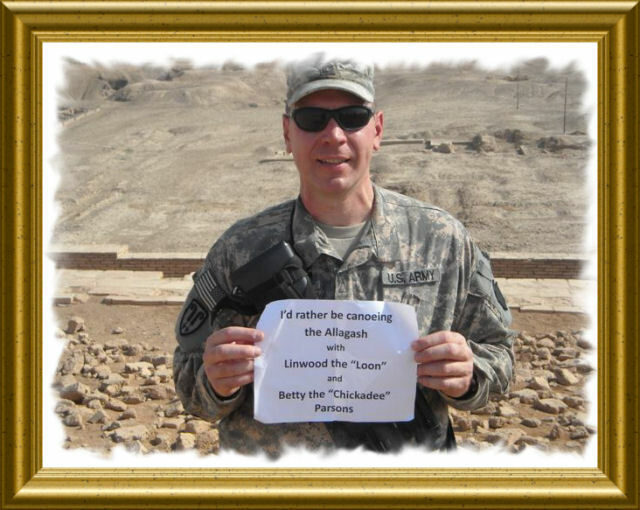 Now, click on the "Loon-on-the-Nest" photograph below to enter "The Loon's Nest" Web Site. The best of everything "Outdoors" in the state of Maine! 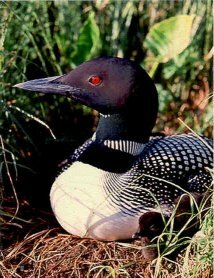 Please enter this site by clicking on the Loon picture above!